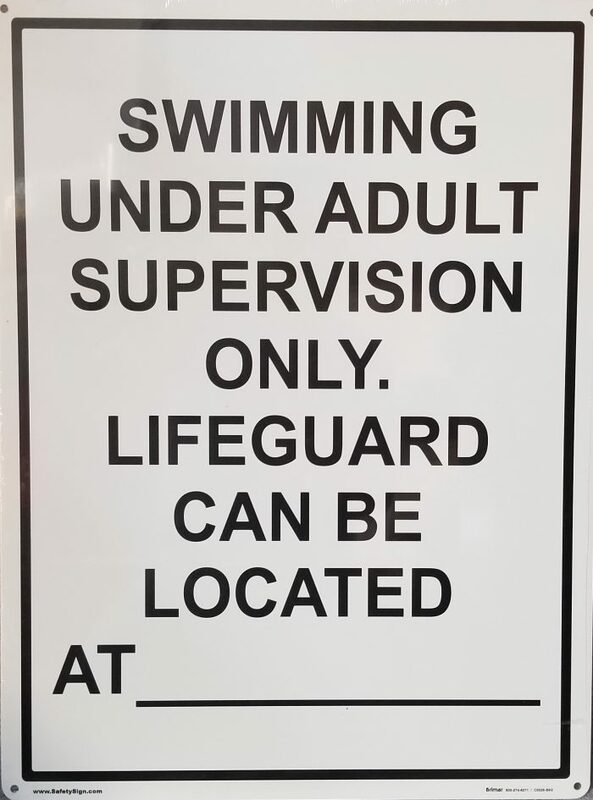 “Swimming under adult supervision only, Lifeguard can be located at” sign for wading pools who utilize the main pool lifeguard. 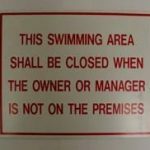 “Swimming under adult supervision only, Lifeguard can be located at” sign for wading pools who utilize the main pool lifeguard. Space available to insert where your lifeguard is located. Sign is with black lettering. REFUND POLICY is as follows. For CPO Services, a refund will be given prior to 14 days of the class less a $35 cancellation fee and a 5 percent credit card charge. No refund will be given in the two week period before the start of the class. 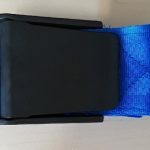 For products, refunds will be given on unopened returned merchandise within 30 days of purchase minus a 15 percent restocking. Shipping fees are not refundable.